The fire signs, Aries, Leo, and Sagittarius have the gift of seeing life’s opportunities, and having lots of planets in the element of fire often signifies a person with great reserves of energy, passion and enthusiasm. 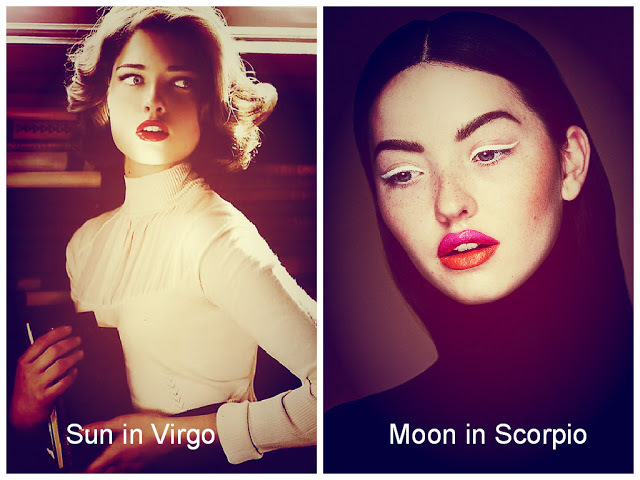 Fire signs express warmth, radiance and simply glow. Fire wants something exciting to happen in their lives, and they are very self-motivated, daring, enterprising and possess plenty of personality. The behaviour of these signs is usually very open, honest and frank. Still sometimes fire may cast a vision, but leave others behind to implement it as they often lack the patience it takes to follow it through. Fire applies all of his or her passions and to their purpose in life, but sometimes their fiery desire can be too extreme, and so they are at risk at choosing unwisely. Fire has an openness to life and trust, keeping themselves open to new experiences, new risks and taking chances. The meaning of life, its purpose, and sense of human individuality, their will to defeat the darkness, and inborn adventure is given to the nature of the fire element in the horoscope. It is believed that the only way to an active and exciting life is to be excited and exciting. Fire lifts us above the limitations of the past, and moves us towards a more spiritual identity, and even sense of divinity, especially when trying to free ourselves from the limitations of material reality. But not all fire signs are super confident and outgoing, although they all share a sense of self-belief; the introverted fire signs live a full, rich, and vivid inner life. People who are self-motivated often feel confident, positive, and can see the purpose of doing something. They try to see the widest range of possibilities. Fire people are frequently drawn to high drama situations, and life itself needs to be colourful, mythical and grand. They are emotionally intense and often dislike responsibility and being hemmed into a daily routine, stable conditions suffocate fire. In Jungian astrology the fire signs are called the intuitive types, and Jung believed these people imagine the possibilities, not necessarily concrete reality (earth) and that intuitive people are adept at sensing patterns rather than focusing on precise details and therefore capable of seeing future events, and foreseeing new possibilities. Intuition is thought to be an unconscious perception that would give birth to sudden ideas and hunches. The word intuition is commonly confused with the element of feeling (water) but it is rather different. When focused on the intuitive we are immediately aware of the meaning and potentialities and significance found in events, and psychologists have referred to this function as possessing a kind of sixth sense, and often not knowing how the idea got there. Sometimes they have been accused of possessing a kind of blind faith, and what earth (sensation) would call a stomach-turning optimism. Here is a good example given for the difference between earth signs and fire. It is also believed that intuitive types have an image making propensity that gives life to new potential, and that this tendency means that they are often artists or prophets, with an intense loyalty to their vision. These people allow meaning to emerge from mundane events and all mystical experiences have placed intuitive perception at the centre of religious experience. Fire people are very self-aware and with an emphasis of fire in the chart their energy can be excessive which results in excessive behaviour, and they may be involved in high-risk activities, but they seem to be quite lucky in life. However they may need to balance their vision with a little more realism, and they may also leave too much to chance and live too much in the future, and seldom think about rainy days.